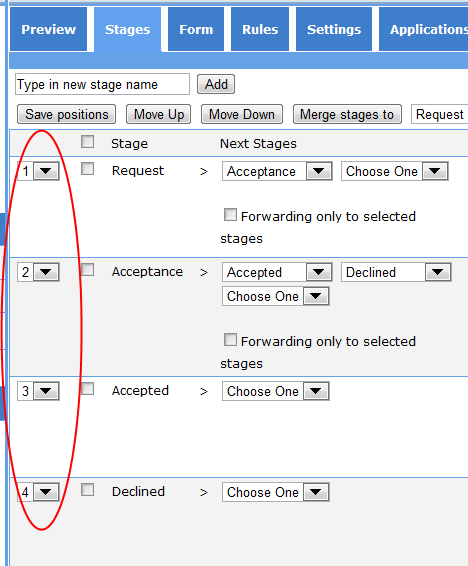 There is a new option to reorder stages. Till now you where able to do it using button "Move up" and "Move down". It was not very convinient when reordering many stages. There is new option now. You can choose new position for many stages using dropdown and then just click "Save positions".